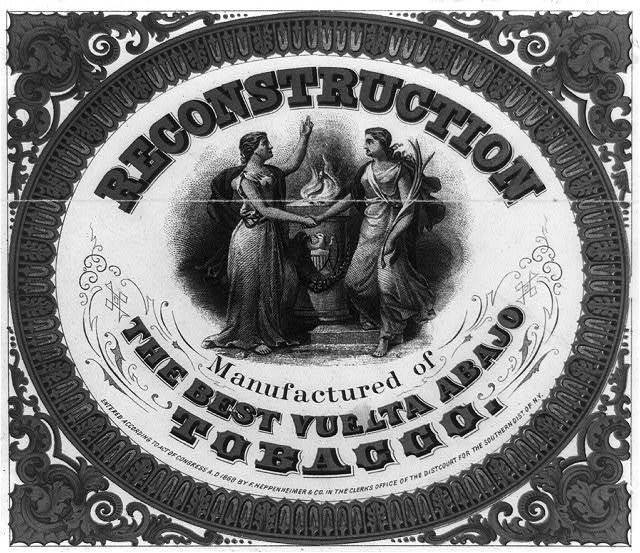 Tobacco label showing female personifications of North and South shaking hands. 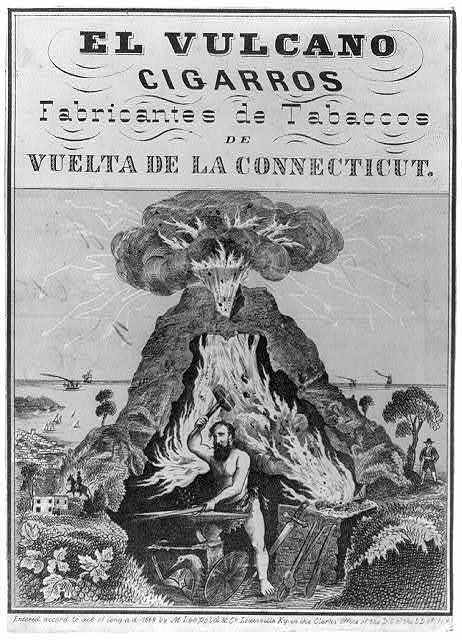 Narragansett Park. 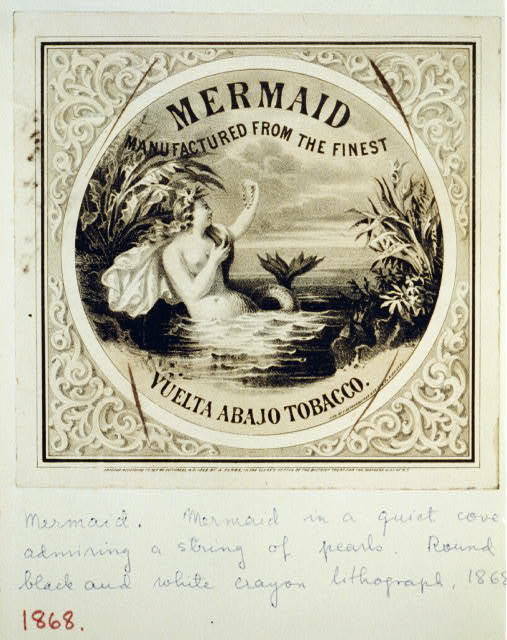 Manufactured of the finest selection of Vuelta Abajo tobacco by Reynolds & Salisbury, ..., Providence, R.I. / Lith. 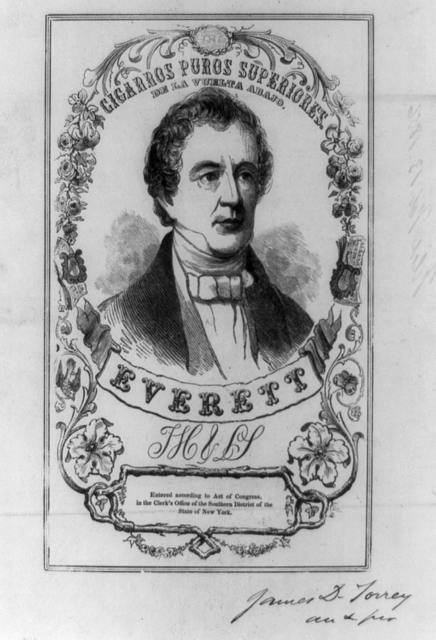 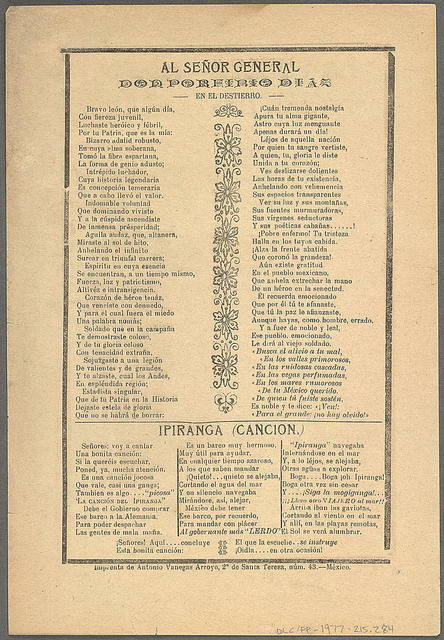 of F. Heppenheimer, N.Y. 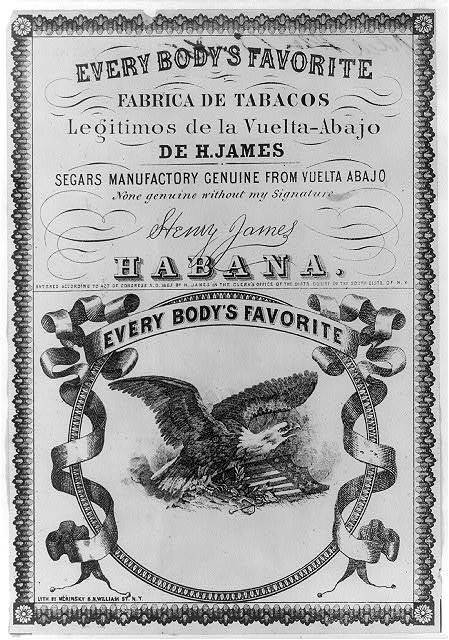 The first nines segars manufactured from the best Vuelta Abajo tobacco by A.H.A. 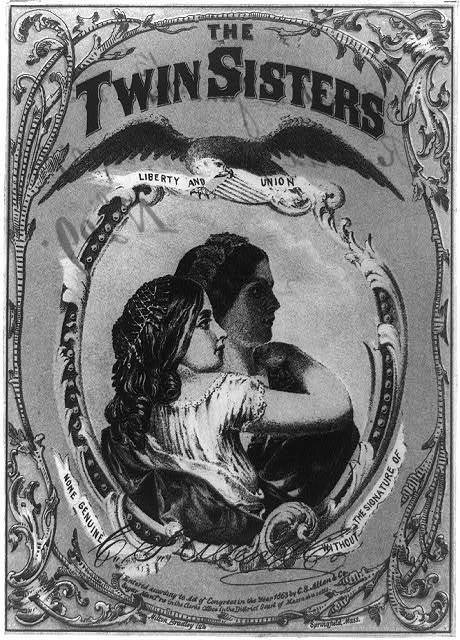 / F. Heppenheimer & Co. 22 & 24 N.Wm. 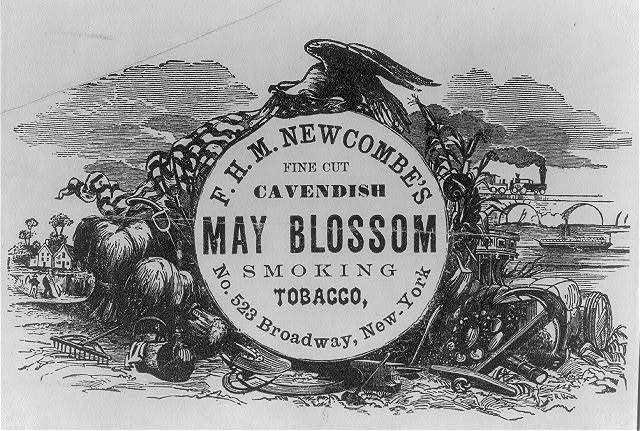 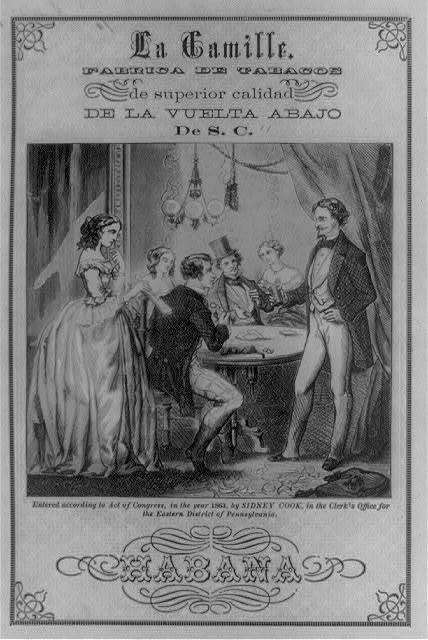 St. N.Y.
La Camille Fabrica de Tobacos de superior calidad de la vuelta abajo De S.C.
F. H. M. Newcombe's fine cut Cavendish May Blossom smoking tobacco. 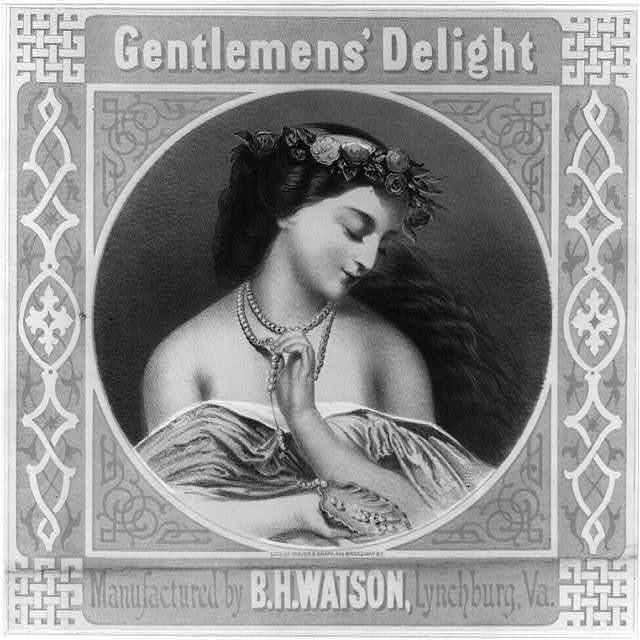 Pearl of the Orient / lith. 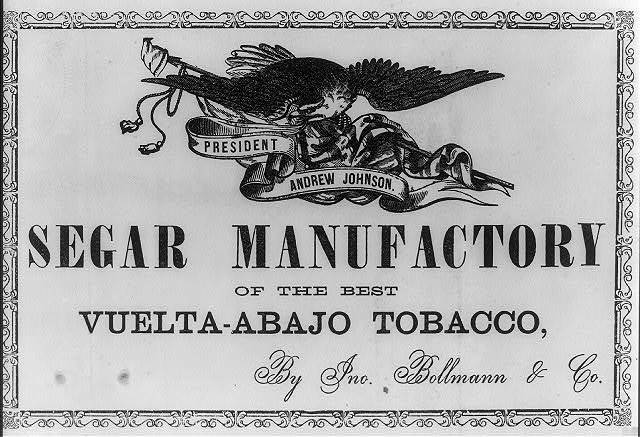 of Major & Knapp, N.Y.
Segar Manufactory of the best Vuelto-Abajo Tobacco by Jno. 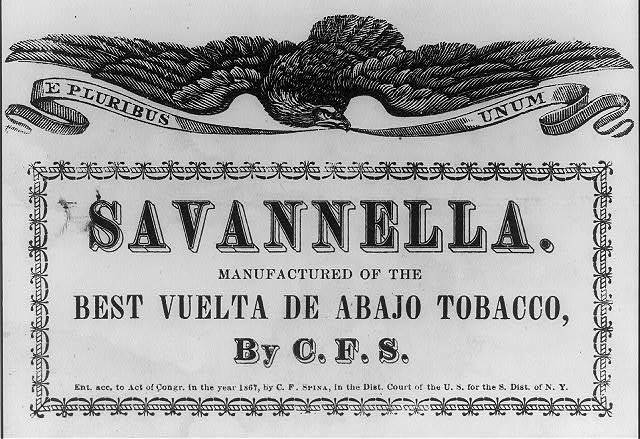 Bollmann & Co.
Savannella. 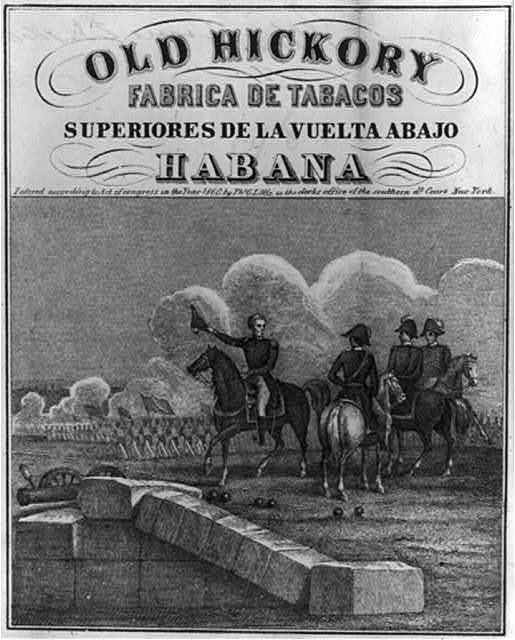 Manufactured of the best vuelta de abajo tobacco.